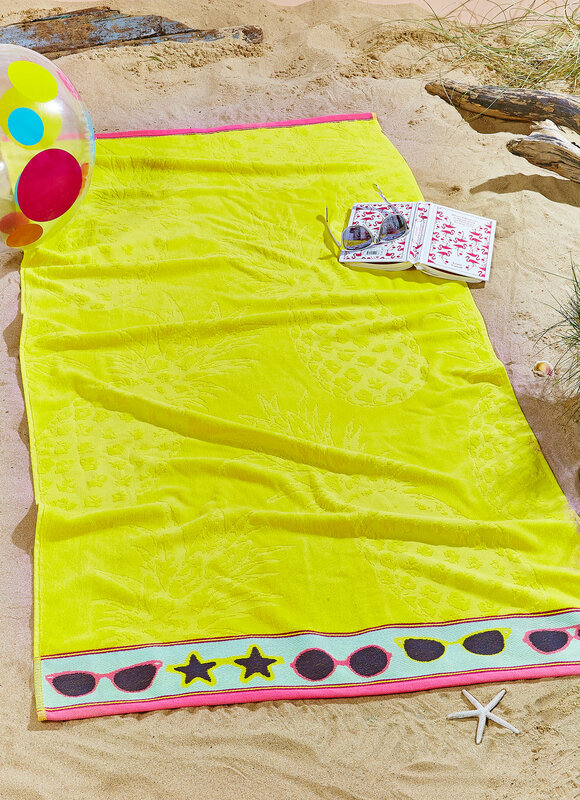 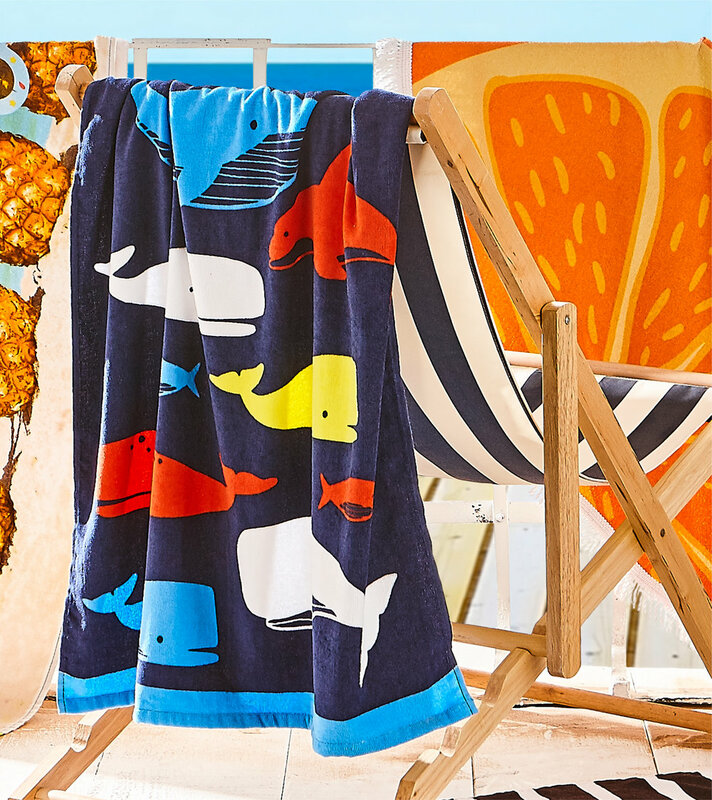 Are you ready to make a splash with our beach towel collection? 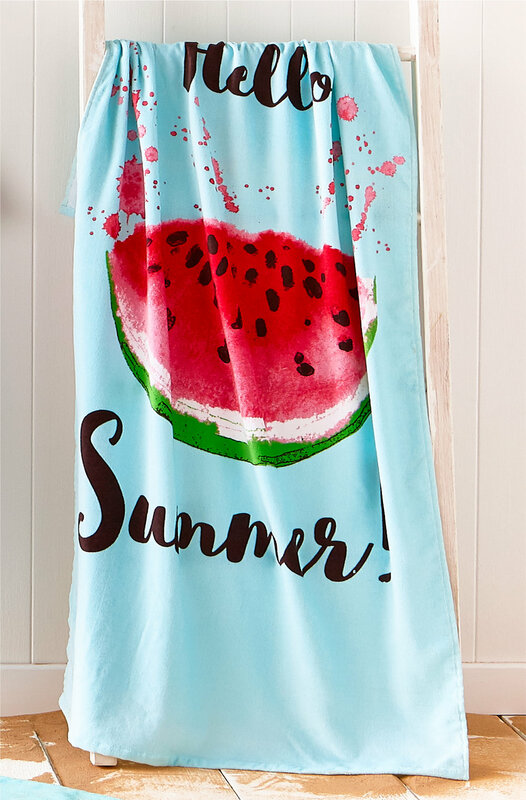 Colours that zing in the sun or by the pool, snappy slogans and fun motifs set the scene. 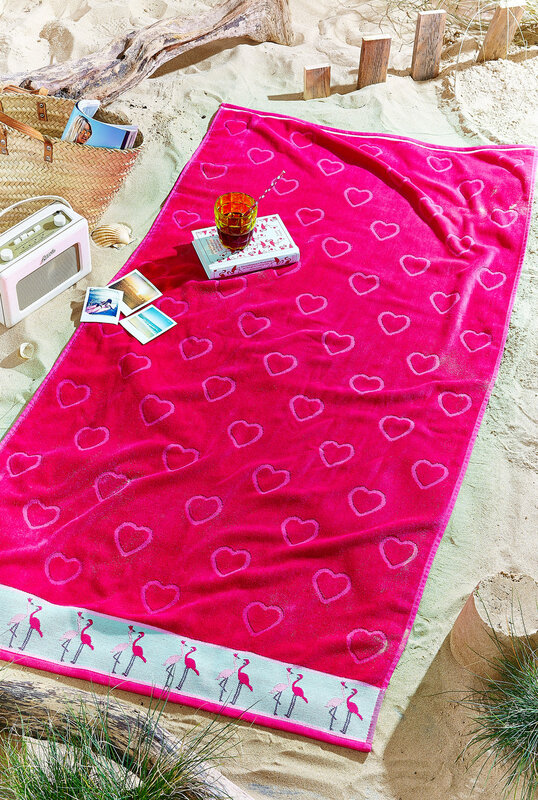 Whether you want the classic cotton towelling or a towel with a supersoft velour finish there is plenty of choice.